4* WELS. 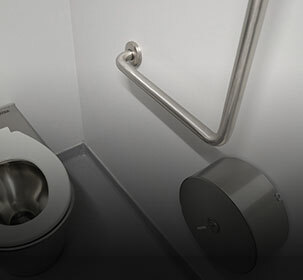 Disabled access stainless steel toilet pan with safety radius front edge. Supplied with Black Vandal Resistant Toilet Seat as standard unless another colour specified. 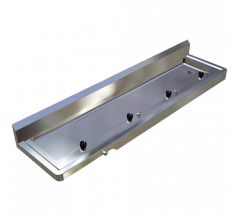 The BRITEX Centurion Disabled Toilet Pan is fully shrouded and manufactured from heavy gauge grade 304 satin stainless steel making it easy to clean and providing optimal strength. 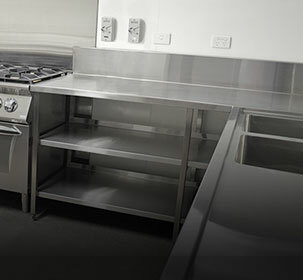 It is designed to conform to Australian Standard for disability access - AS1428. 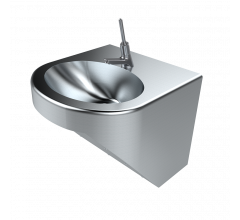 Incorporating radius edges for added safety, a pressed internal bowl and unique trap design, the Centurion Disabled pan is extremely water efficient (4.5/3 litre) and much less susceptible to costly blockages in public amenities. 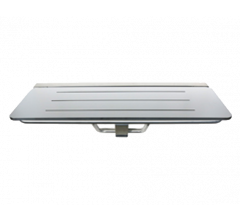 Access panels come standard on both sides of the pan for easy installation and a toilet seat can be fitted if required. WaterMark and WELS certified as required by plumbing regulations and government legislation. 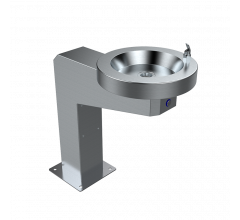 A vandal resistant Stainless Steel Backrest as required by AS1428:2009 is optional.